U Mobile has taken a different route with its Lunar New Year campaign. Rather than tug at the heartstrings of consumers, it launched a three-part video campaign dishing out fictional predictions for the year. 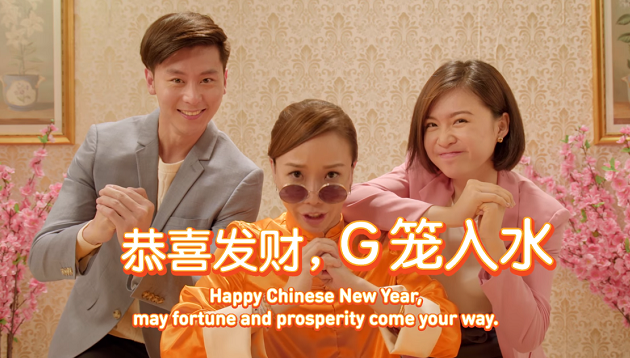 To welcome the Year of the Boar, which some in Malaysia might find sensitive, U Mobile and The Clan saw the perfect opportunity to replace the Cantonese saying of “zhu” (pig) with “G”, which incidentally is the first alphabet for U Mobile’s GX50 plan. The Chinese Zodiac, known as Sheng Xiao, is based on a twelve-year cycle, with each year in that cycle related to an animal sign. When predictions for the animal signs start circulating, this usually means that Lunar New Year is around the corner. Using the analogy of dim sum which actually translates to “Choose” and “Heart”, the predictions were presented in various dishes that accompanied Chinese proverbs. The story revolves around three different scenarios that had similar settings but different deliveries to reflect different types of zodiacs and its fortune prediction for the year. The campaign aims to not only offer entertainment value, but also drive consideration for a plan that could deliver everything anyone could ask for during the festive period with its unlimited plan at only RM50. U Mobile’s head of consumer marketing services, Jenny Chin, said it was a fun board to work on and although the agency only had a day, the team still managed to “put a lot” together. “Keeping in line with our brand DNA, this campaign gave us the licence to be a little crazy, resulting in a series of quirky, witty films,” Chin said. The Clan’s associate creative director, Edwin Lee,added that the talents were great to work with and helping direct their delivery was one of the highlights of the shoot.Earlier this year, U Mobile made the decision to continue with the Clan’s role in creative services for the launch of its prepaid business, bringing forward a working relationship that will result in greater, more exciting campaigns to come. Astro Publications has brought UK publication Car magazine to Malaysia, set to entice urban male motoring enthusiasts. ..
Chang joins Criteo from Eastern Broadcasting, a media company in Taiwan, where she was president. ..